New spring blooms are showing up in my garden as fast as rabbits appear when I uncover the lettuce bed in the vegetable patch. 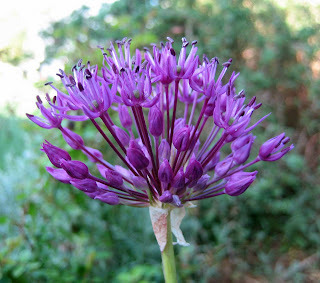 This unnamed Allium greets visitors right before they step up onto the front porch. It's in an odd location, like a lot of my fall planted bulbs. I have a habit of scurrying around in the fall, generally when it is cold outside, with a handful of minor bulbs, looking for bare places to plant them, trying to remember if there is another bulb planted in a particular bare spot or if it is really a bare spot. Bad habit, perhaps, but I'm not the only one who does this, am I? 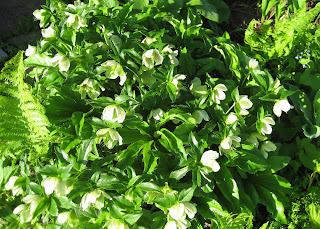 I never have to wonder where the hellebores are planted because they never really die back to the ground in the winter. And I like how the hellebore flowers keep their form and just turn papery as the days get warmer, rather than wilting like a tulip. I just leave the hellebore flowers until they disappear. No deadheading required and for my lack of effort, I get some seedlings around the base of the plant. The tulips were whipped around pretty good by the winds yesterday and most, except this pointy one, have now seen better days. I have no idea where the pointy tulip came from, but I like how it stands out from the crowd. Nothing wrong with being different, right? In the back, a large viburnum, Viburnum prunifolium, Blackhaw Viburnum, is blooming. It's blooms don't stand out like that of a Snowball Bush Viburnum, but it is still an excellent background shrub, with glossy leaves and a nice shape. Next to it is a struggling Mockorange, Philadelphus 'Buckley's Quill'. The mockorange has nice flowers, but that's about it. And is two weeks of bloom in the spring enough to justify looking at this straggly shrub the rest of the year? I am reminded of what Elizabeth Lawrence wrote..."getting rid of poor plants is as important as seeking out the best..."
Perhaps it is time to get rid of this mockorange and replace it with something else, perhaps another Viburnum? Or maybe a lilac, like the 'President Lincoln' lilac I have on order? It could show up any day now, and I haven't decided where to plant it. Rather than dance around the garden with it, maybe I'll just cut out (or move) this mockorange, and plant it here. What do you think? Are there some poor performing plants in your garden that you should really get rid of now and replace with something better? The mixed tulips look pretty with the exclamation point in the middle. I have one mockorange that hasn't bloomed for four years. It's under the impression that its awkward branches are enough to justify its existence in the garden. I'm not sure if the location is too shady, late frosts get the buds, or it's just slacking off. 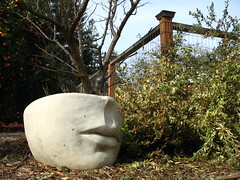 It's staying for now because it provides some privacy, but I do give it some stern glances. It is an odd thing, since we are in Vidalia onion country, that the decorative alliums don't do well here. Or at least I have never found any that do. That purple one is the most wonderful color. I think mockoranges are one of the great plants. It's not just the delicacy of those white blooms, or the snowfall effect when they drop their petals, which are both incredible--but the scent! My God! When it's in bloom, it's my favorite of all shrubs. When it's not blooming, well, it's no dumber-looking than your average lilac. That said, not all mockoranges are alike. The one I inherited at my last house had truly lovely bell-shaped single flowers--but so far, I've never seen the nursery that carried it. The one I ordered for this place has much bigger, flatter flowers, and the effect is not the same. So maybe you're underwhelmed because you have the wrong variety. Give that Mockorange the heave-hoe! If they had some fall color they'd be worth having, but there are so many better shrubs that have fragrant summer flowers & fall and/or winter interest too. You're lucky that you don't have to deadhead your Hellebores. If I don't, I'll have an all-Hellebore garden, which isn't bad December through May, but I do like some summer color. 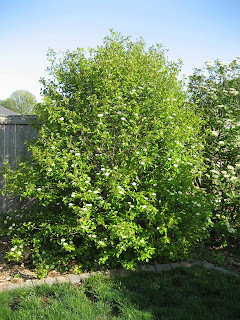 Carol, I wish DH would let the blackhaw viburnum hedge go 'au naturel.' He thinks they look too messy, but I think if we let it go long enough it would be fine. (Our neighbor doesn't like it tall either.) I'd love to see it get to it's natural height and shape. I think the birds would appreciate the cover and the berries too. Trimmed as it is to about 6', we're lucky to get any blooms at all. I hope my new hellebore sets seeds since it's the only one I have. I'd love to have some hellebore babies to transplant. This spring I've gotten brutal with a couple of underperforming shrubs and one tree (Washington Hawthorn,) and replaced them with something better. 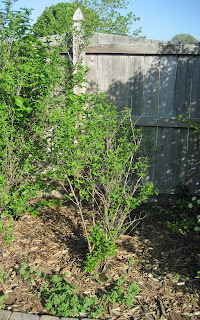 I might try cutting the mock orange way back to see if it would fill out more. On the other hand, while the flowers are wonderful, in general they don't seem to be the best-looking shrubs. I'm just the same with planting bulbs. I can never remember what was where and think thats a nice spot only to discover the bulbs I planted last year. I tell myself I will take photos but either I dont or I forget to look at them. 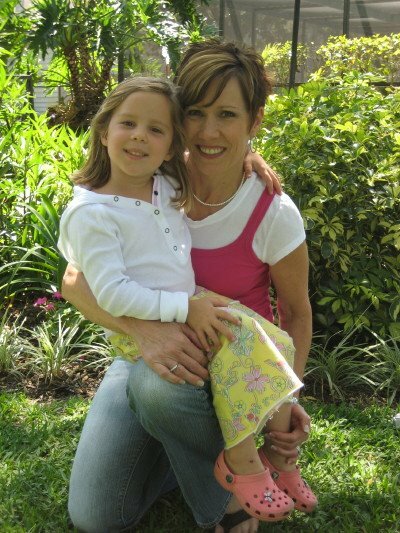 I hope you'll give that mock orange a second chance. It might do better in a different location. Carol, I'm not familiar with your mockorange variety shrub but from my viewpoint (way down here in the south) I say get something you LOVE and one that performs for you without fail. The only thing I have mercy on in my garden that doesn't 'always' perform great are the 8' tall azaleas. When their good, their good so I bear with them... they are in the background of many layers of shrubs though so I can tolerate their occasional non-performance. For a shrub that's highly visible- I say toss it. I'm just so fascinated with how fast everything greens up and blooms out up north.How is possible that you can be under snow one month and blooms the next... it's fascinating. AND your grass looks phenomenal. Does it just go dormant until the sun shines? How does that work? 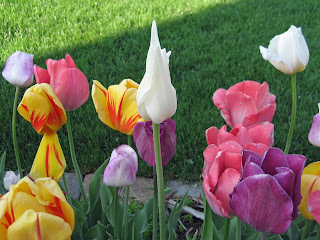 Love your tulips and allium- two more I'll have to enjoy from afar! Another reason why Hellebores are great because no dead heading. And another reason why I need to search for them more than I have. Loved your hoe down post, I wish I could of posted a hoe down too but had company all weekend so couldn't find the time. The mock orange in my yard is much like the forsythia it needs to be able to spread out and droop and doesn't seem to like to be pruned...It looks lovely but hasn't any scent...very disappointing. Usually I run around looking for a spot to plant bulbs this year I took lots of photos and hope they will remind me where bubs are already planted! Your allium is lovely and reminds me that mine did not return... Phooey! I love mock orange. Ours was trained over a trellis, which gave it a purpose when out of bloom. You walk underneath it when entering the garden. Otherwise, it would be a mess, flopping all over. The roofers mangled it last fall, but I am confident it will recover. Hellebores are fantastic--is there a longer-lasting flower? Mine go for many weeks. 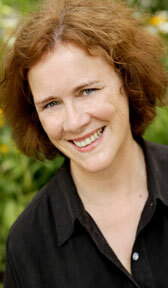 It is important to get rid of the under performers. I seem to have a much easier time doing that with house plants than with garden plants. I generally advocate giving under-performers the heave-ho. (Heave-HOE?) Especially in a small garden like mine; one has to be ruthless. But I draw the line at the mock orange. I'm actually looking forward to the day when mine is so large that its pile-of-sticks look in dormancy causes it to stand out from the rest of the healthy-looking garden like some kind of lost cause. I'll know the truth, and it will be a secret between me and my mock orange during the dark months. I'm a garden resculpter and will ruthlessly transplant and replace in the effort to achieve some sort of garden balance. I do try and hold off for a couple of years (or at least seasons) of observation. A viburnum I think would be nice. Your blackhaw viburnum is lovely. I've never seen one deliberately planted before - they grow wild in the woods here. I should move some to a more prominent location. Oh, I love the way the mockoranges smell, though! Maybe you could grow a clematis up through it to give it some interest in the summer as well? You're definitely not the only one who walks around in the garden in winter trying to remember where you should tuck in bulbs, by the way. Which reminds me, I need to take pictures of my front bed to jog my memory on where these bare spots are in a few months. I love mock orange! They are so pretty when they bloom, and smell heavenly. Maybe you could try a different spot? I had one at our old house that bloomed magnificently. But cuttings didn't take and I finally got a new one for our current house. I hope it blooms this year! I like the mixed colors of your tulips, they look delicious.